Skywatcher Jason Callum from Bracknell, Berkshire, England pointed his telescope at the moon’s surface when a black doughnut shaped UFO came into view, flying past the moon. The unknown object has led to much discussion about its origin. Besides the possibility that the object is an alien craft, some people say the UFO could be a craft of the secret space fleet, while others suggest it is the black knight. It is worth mentioning that in the past similar doughnut shaped UFOs have also been observed in the vicinity of the sun. 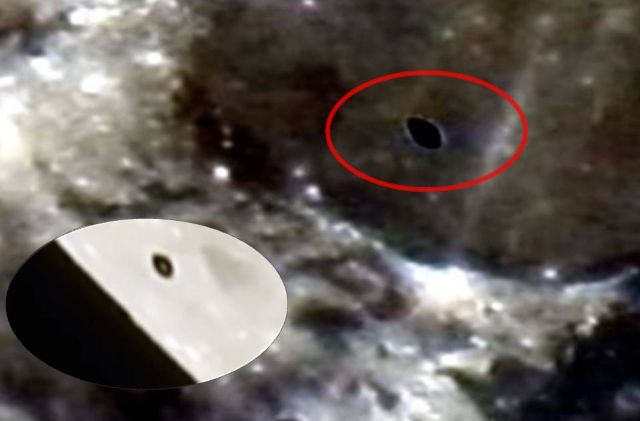 The video shows the black UFO flying above the moon’s surface till the moment it disappears into the darkness of space.